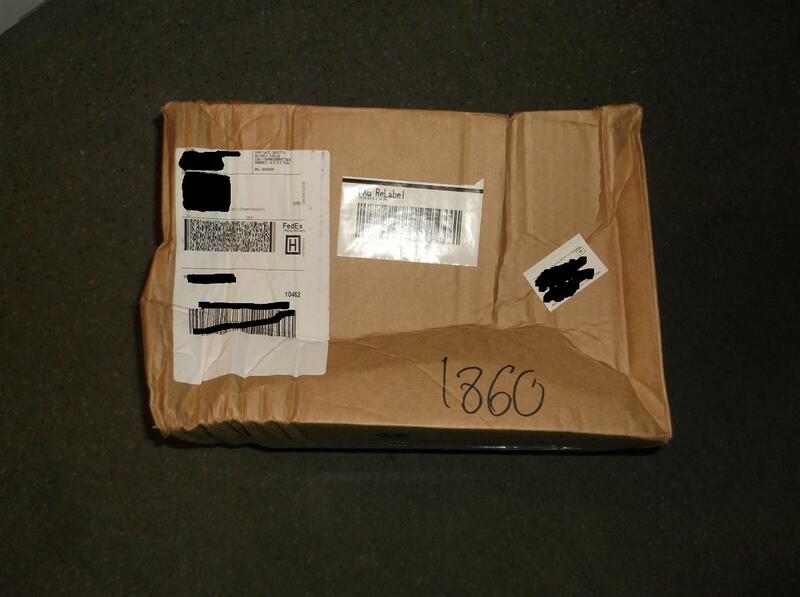 FedEx Gets To Be The Bad Guy… And Almost Succeeds | "DESTROY ALL FANBOYS!" Yikes. I think FedEx hates me. Or at least stuff they need to deliver safely. Anyway, that’s the box I got from a few days back above, so I guess someone at the company is still mad at me for yelling at a driver who tried to deliver a box of stuff a few weeks back after 10pm on a Friday with not so much as a courteous phone call beforehand to say a VERY after hours delivery was coming. Why take someone’s phone number and stick it on the label if it’s not going to be used? Hey, you’d be as cranky as I was when you have the occasional dope who rings the doorbell downstairs claiming to have a package when they’re just trying to gain entry into the building. Hell, I didn’t even think FedEx or UPS delivered after 9pm except for holidays when delivery times are all over the map and it’s expected that stuff said to arrive in a day shows up late in that day. Anyway, did the contents of that beat to hell box survive the trip? That would be telling, but let’s just say I was pleasantly surprised. But FedEx needs its drivers to shape up and knock it off with the box-busting handling. This entry was posted in 2015, Commentary, DAF, Humor, Updates and tagged FedEx, It's November Already? !, People Ain't No Good!, Playmates Toys, Stupid Stuff, Sunday, What's In the Box? by geelw. Bookmark the permalink.